What if you could view the key messages from the 2018 Blended & Blessed(R) Livestream again to retain and learn more, or even invite another couple to watch them with you? 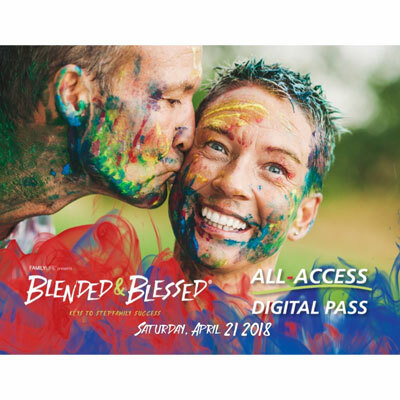 The Blended & Blessed All-Access Digital Pass lets you take the four key messages from the event home with you, along with bonus interviews, panel discussion, and other elements from the livestream event. You will be able to stream these messages anytime and as many times as you want through May 1, 2019. An All-Access Digital Pass will not be mailed to you.